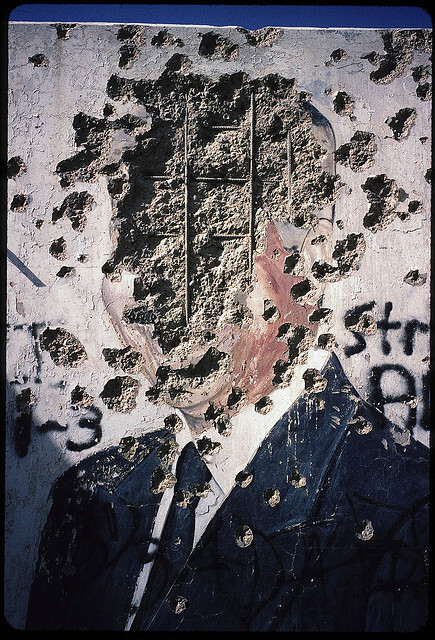 Among the continue pictures to face with Iraq depicting the deceased dictator Saddam Hussein. We were somewhat staggered to find out him maybe in this situation. With all the bullet scars exposing the concrete and rebar, the painting takes on different type of sort. Iraq 2005.